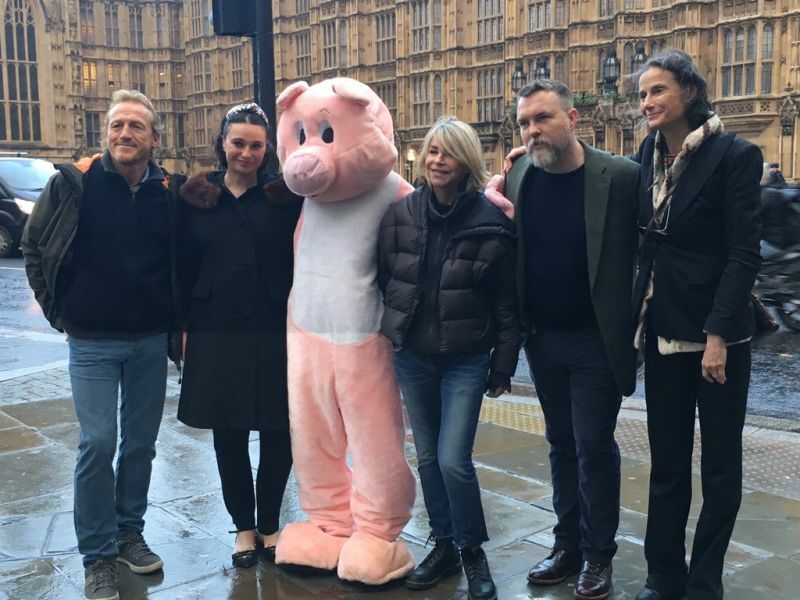 Game of Thrones actor Jerome Flynn has launched a short film at the House of Commons in opposition to proposed plans to construct a large pig farm in Northern Ireland. The film was introduced by MP Zac Goldsmith on Monday (3 December) and is a protest against the proposed plans for a large pig farm near Limavady, Northern Ireland, where the Game of Throne series is being filmed. The film criticises intensive farming and its effects on the battle against climate change, antimicrobial resistance and water pollution from excess nitrogen. Actor Jerome Flynn, who plays Bronn in Game of Thrones, also moderated a panel discussion on intensive farming. The panel also discussed the implications of Brexit on international environment treaties and EU Regulations that define UK obligations relating to Northern Ireland. Around 17,500 people from the Limavady area have objected or petitioned to the local council. Attendees at the House of Commons event included MPs, representatives from Defra, Red Tractor, Public Health England, the United Nations Principles for Responsible Investment Association (UNPRI) and the CLA.